Wildwood days is a lovely relaxed site for any family gathering – with plenty to enjoy for all ages. Children can enjoy all our facilities (mud kitchen, rope swing, tunnel, digging area) whilst the adults can chat, relax and celebrate in a magical outdoor environment. Wildwood days run a varied programme of adult workshops and are also available for birthday parties and team building activities. 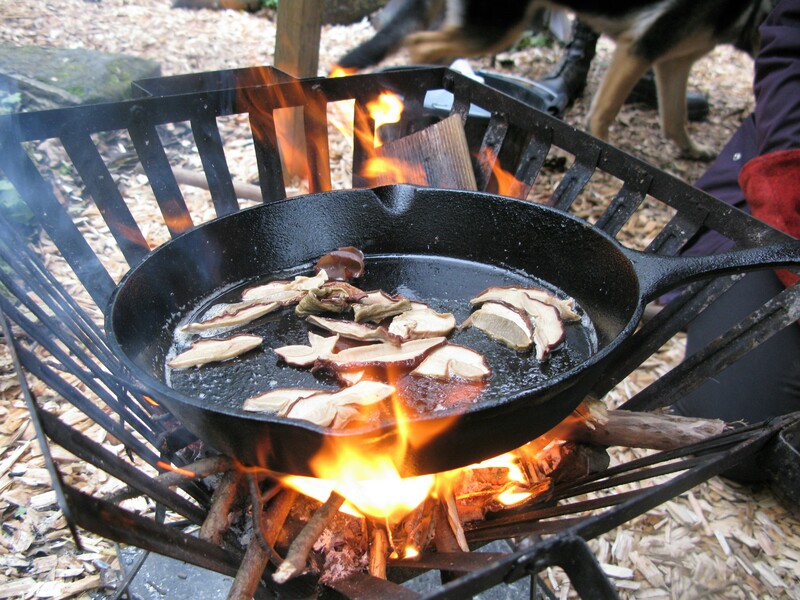 Examples of previous adult-only workshops include pewter jewellery casting, a mushroom ID walk and fry up, and foraged cocktails. Wildwood days is a great place to learn a new skill in a beautiful outdoor setting. All workshops include refreshments (sometimes cooked over the campfire) and all materials. We have previously hosted a 50th birthday party – we can hire a pump so that beer/cider is available on draught. We love doing themed birthday parties and can incorporate any activities you’d like to try (e.g. environmental art, whittling, willow weaving, etc.). Almost all our parties include an open fire and the opportunity to toast a marshmallow. We have a shelter and a huge parachute tarp that goes over the fire so that we can run activities whatever the weather. We are also available for a range of outdoor team-building activities. Please contact us to discuss your requirements.